Smithsonian National Portrait Gallery curator Ann Shumard talks about a photograph of Sen. John McCain, R-Ariz., that was displayed at the gallery on Monday. The former presidential candidate died Saturday of brain cancer at the age of 81. This is the first time that the 2005 image of McCain by photographer Steve Pyke has been displayed in the gallery. Rick Davis, spokesman for the family of Sen. John McCain, speaks to the media during a news conference at the Arizona State Capitol Executive Tower in Phoenix on Sunday. Davis discussed memorial arrangements planned for McCain and read a final letter from the two-time presidential candidate and war hero. John McCain will be memorialized by past presidents and Senate colleagues from both political parties in Arizona and Washington, D.C., this week. Notably absent from the list of dignitaries who will pay tribute to the two-time presidential candidate, six-term senator and Vietnam War hero is President Trump. Trump and McCain clashed almost from the moment Trump entered the 2016 presidential contest. Vice President Pence will represent the Trump administration at McCain's services. Former McCain campaign chairman Rick Davis outlined plans for five days of memorials to McCain, who died Saturday at age 81. Davis also read aloud from McCain's farewell letter. "We weaken our greatness when we confuse our patriotism with tribal rivalries," wrote McCain, in an unmistakable reference to Trump. "We weaken it when we hide behind walls, rather than tear them down." 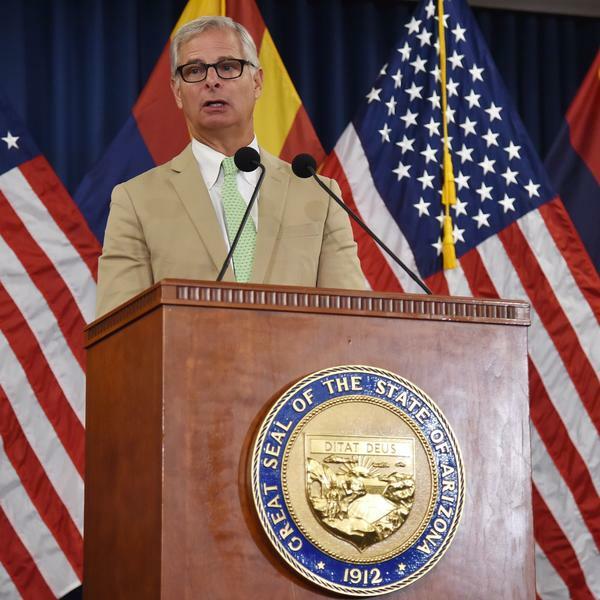 Davis said McCain will lie in state at the Arizona State Capitol on Wednesday and be attended by some of his Republican colleagues from the Arizona congressional delegation, including former Sen. Jon Kyl, who will make remarks; former Rep. Jim Kolbe, who will lay a wreath; and current Sen. Jeff Flake, who will give a benediction. The following day there will be a service at the North Phoenix Baptist Church, where former Vice President Joe Biden will give a tribute. Biden is "basically being treated as a member of the family, which of course the family believe he is," Davis said, adding, "for better or worse for his political career in the future." McCain's body will then be flown to Maryland for "three days of celebration in Washington," Davis said. McCain's body will lie in state at the U.S. Capitol on Friday. There, Pence, Senate Majority Leader Mitch McConnell and Minority Leader Chuck Schumer will all lay wreaths and, Davis said, members of the public "will be encouraged to view John." 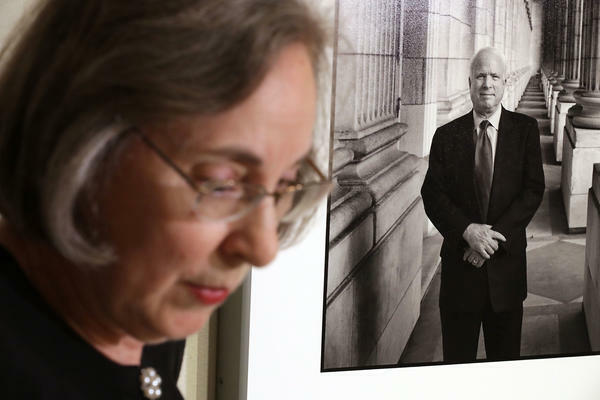 On Saturday, McCain's body will be taken to the National Cathedral, after a stop at the Vietnam War Memorial, where his widow, Cindy, will place a wreath. At the cathedral service, which Davis said will focus on McCain's "national and global leadership," former Presidents (and political opponents) George W. Bush and Barack Obama will speak, along with Sen. Lindsey Graham and former Sens. Joe Lieberman and Kelly Ayotte. Renee Fleming will sing "Danny Boy" at McCain's request. On Sunday, McCain will be laid to rest after a private funeral at the U.S. Naval Academy in Annapolis, Md. He will be buried next to his "close, good friend," Davis said, Adm. Chuck Larson. "Thank you for the privilege of serving you and for the rewarding life that service in uniform and in public office has allowed me to lead. I have tried to serve our country honorably. I have made mistakes, but I hope my love for America will be weighed favorably against them. "I have often observed that I am the luckiest person on earth. I feel that way even now as I prepare for the end of my life. I have loved my life, all of it. I have had experiences, adventures and friendships enough for ten satisfying lives, and I am so thankful. Like most people, I have regrets. But I would not trade a day of my life, in good or bad times, for the best day of anyone else's. "I owe that satisfaction to the love of my family. No man ever had a more loving wife or children he was prouder of than I am of mine. And I owe it to America. To be connected to America's causes – liberty, equal justice, respect for the dignity of all people – brings happiness more sublime than life's fleeting pleasures. Our identities and sense of worth are not circumscribed but enlarged by serving good causes bigger than ourselves.
" 'Fellow Americans' – that association has meant more to me than any other. I lived and died a proud American. We are citizens of the world's greatest republic, a nation of ideals, not blood and soil. We are blessed and are a blessing to humanity when we uphold and advance those ideals at home and in the world. We have helped liberate more people from tyranny and poverty than ever before in history. We have acquired great wealth and power in the process. "We weaken our greatness when we confuse our patriotism with tribal rivalries that have sown resentment and hatred and violence in all the corners of the globe. We weaken it when we hide behind walls, rather than tear them down, when we doubt the power of our ideals, rather than trust them to be the great force for change they have always been. "We are three-hundred-and-twenty-five million opinionated, vociferous individuals. We argue and compete and sometimes even vilify each other in our raucous public debates. But we have always had so much more in common with each other than in disagreement. If only we remember that and give each other the benefit of the presumption that we all love our country we will get through these challenging times. We will come through them stronger than before. We always do. "Ten years ago, I had the privilege to concede defeat in the election for president. I want to end my farewell to you with the heartfelt faith in Americans that I felt so powerfully that evening. "I feel it powerfully still. "Do not despair of our present difficulties but believe always in the promise and greatness of America, because nothing is inevitable here. Americans never quit. We never surrender. We never hide from history. We make history. "Farewell, fellow Americans. God bless you, and God bless America."